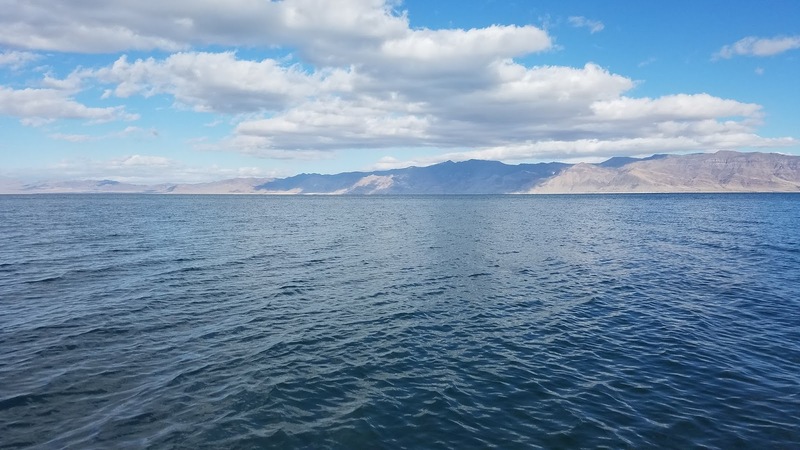 Pyramid Lake is a known as one of the best winter still-water fisheries on the west coast. 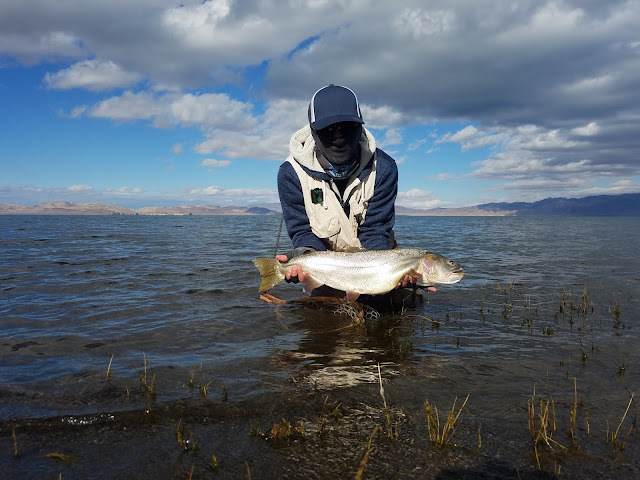 Each year thousands of anglers from all over the country flock to it's ancient waters to fish for the largest cutthroat trout in the world, the Lahontan Cutthroat Trout. After my first taste of success earlier this spring it was time to give the lake another try to find myself a double-digit beast. 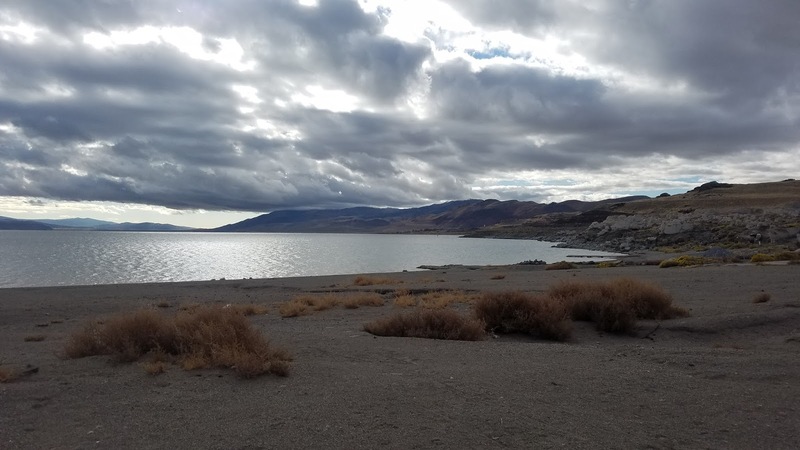 The cutthroat opener for Pyramid Lake is on the 1st of October and each opener has the potential of bringing in crowds of anglers that have been waiting for months to fish it again. It's not a bad idea to wait until the hype dies down before attempting to fish it. 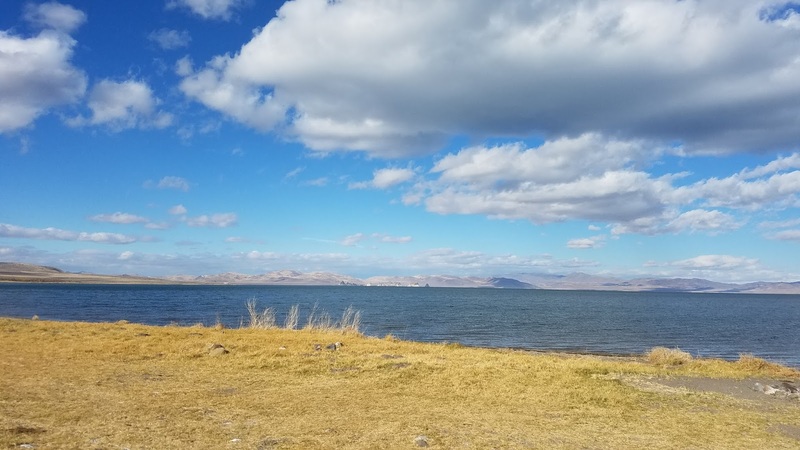 This trip would mark my third time fishing Pyramid Lake and my first time staying there overnight. November seemed to me like a good time to fish the lake because the water would be cooler, the crowds would be gone, and I wouldn't be left freezing overnight. Luckily one of the first winter storms of the year had just passed the day before I planned on making the trip up. The saying on Pyramid goes, "The worst the weather, the better the fishing." I arrived at the lake at around noon and was surprised to see the lack of fishing pressure on the beaches; it was going to be nice having an entire beach to myself for once. Warrior Point Beach was the first place I settled at. This was the furthest area that was open to fishing and it looked like a decent start. Southern winds was the name of the game. The wind blew to the right of me for the most part however there were times where it blew more favorably towards me. 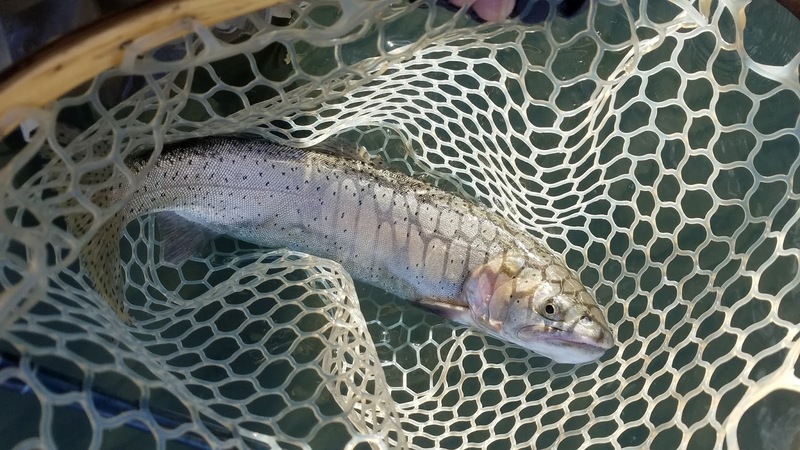 I set up my 8WT with a midnight cowboy and an extended leech and started fishing. My first couple of cast and I broke into the double digit club. This was going to be a good trip. I caught a few more that were all in the 20'' range before I ended the day. 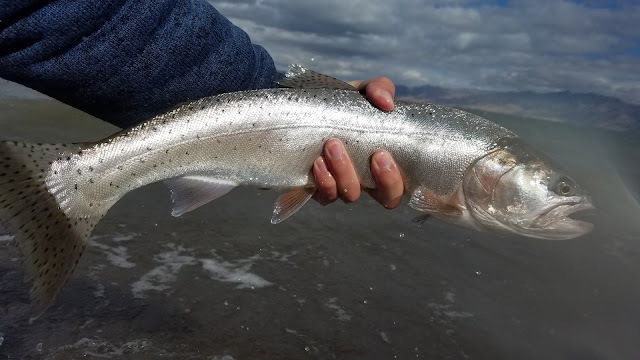 Since I had the entire beach to myself I covered a lot of water which seemed to help me get into some fish that I probably wouldn't have caught otherwise. Most of the grabs were during my slow lift up before recasting; these fish are notorious for following flies until the very end the retrieve. Structure seem to be the key in fishing the fish the first day. The area of the beach I fished was full of plants and roots instead of sand and rocks. I had heard that Warrior Point had rose 10ft this year from all the run-off so perhaps the fish were hanging around these areas because their food lived there. I snagged up a lot but I also caught fish. 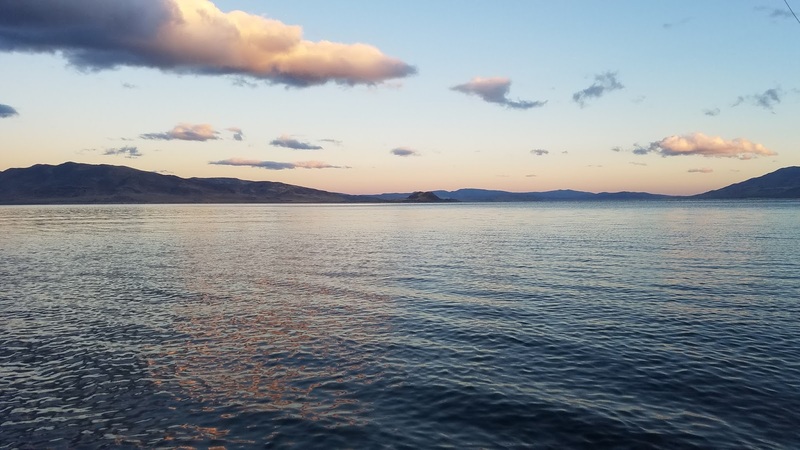 More curious about how to be productive rather than simply catching fish I made a plan to fish Pelican Beach the following day to test the difference. Pelican Beach had a few people fishing it but during my short time there I didn't see anyone hook up. During my last trip to Pyramid in the spring everyone that lined this beach caught fish. After about an hour with no action on Pelican I went back to my spot at Warrior Point. Don't leave fish to find fish. Warrior Point on the second day of my trip was a bit tougher to fish. The southern wind picked up drastically and the waves were mudding up the banks. I hooked two fish after several hours but didn't land any. It wasn't until the wind finally died down that I started hooking into fish again. Although I had hooked four and landed one the second day I considered this a bit too slow for my liking. Exhausted from casting a heavy 8WT all day, fighting the cold weather, and covering tons of water I decided to pack up and head home early. Overall a great trip. Now it's time to break into the 20lber club.